The Special Collections and University Archives of Vanderbilt University's Jean and Alexander Heard Library The Peter Taylor Papers (MSS. 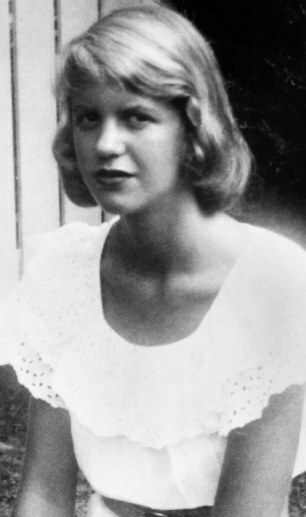 435) holds one letter from Sylvia Plath to Taylor's wife, the poet Eleanor Ross Taylor. The letter is held in Series 1: Correspondence, Incoming Correspondence, Box 4, Folder 12: Page - Plath. The handwritten letter is simply dated Friday by Plath, but the postmark on the retained envelope indicates that it was written and sent from London NW1 on Friday 27 January 1961. 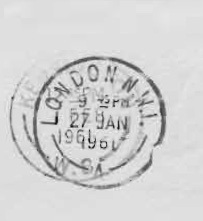 However, there is a faint, ghostly postmark stamp underneath from a Kensington post office, dated 1 February 1961 (a Wednesday). I wonder if there was a delay in delivering the letter? The letter is brief, just two paragraphs of one sentence each and is signed under her married name Sylvia Hughes. The letter politely cancels plans to meet on Saturday night in part because it was Plath's turn to work at the office (The Bookseller) and hopes they can arrange to meet again sometime in the future. The letter was sent to the Taylor's at 25 Kensington Gate, London (map). If you search the Taylor collections at Vanderbilt, you will also see another finding aid for a different collection of his papers: The Peter Taylor Papers (MSS. 591). This collection, too, has a hit for Plath in Series 1: Correspondence, Incoming Correspondence, Box 6 (O-Q), Folder 8: Pierce - Plath. However, this is the wrong Plath! This one is from James Plath and is dated April 17, 1990. Its subject is the new independent arts journal, Clockwatch Review. Thanks to Molly Dohrmann of Special Collections and University Archives Vanderbilt University for her assistance. 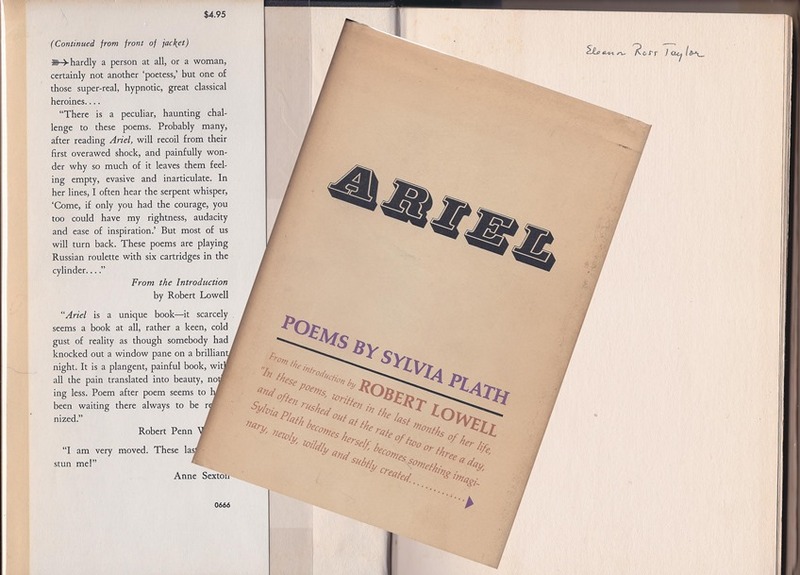 Eleanor Ross Taylor reviewed Ariel in her article "Sylvia Plath's Last Poems" in January 1967 issue of Poetry (pages 260-262). A couple of years back, some books (maybe all?) from the Taylor's library were sold via Between the Covers Rare Books. Among those books was Eleanor Ross Taylor's Ariel, with her ownership signature on the front free end paper, which I received as a gift from a friend. All links accessed 3 June 2014 and 27 January 2015. 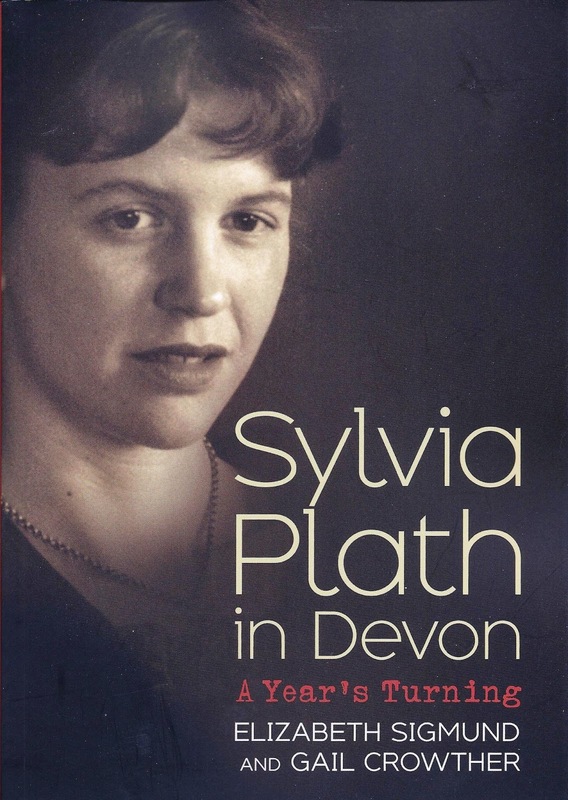 Published officially yesterday in the United States, Elizabeth Sigmund and Gail Crowther's Sylvia Plath in Devon: A Year's Turning is already having difficulty being acquired via sources like Amazon. I understand this is taking place in the UK as well. The Kindle edition is readily available, but do not be afraid to also see if it is available directly from the publisher (Fonthill Media) or other outlets like Book Depository (which offers free shipping worldwide). I hope the publisher sorts out any issues it has had with distributing print copies of the book. Plath scholars and libraries around the world will get much use from the physical book, and it is still, so far as I know, the best medium in which to read. Gail and contributing artist Anthony Cockayne are in the planning stages to do author events in the UK. So, check back here for event updates, or also over on Sylvia Plath Info's twitter thing. All links accessed 20 January 2015. 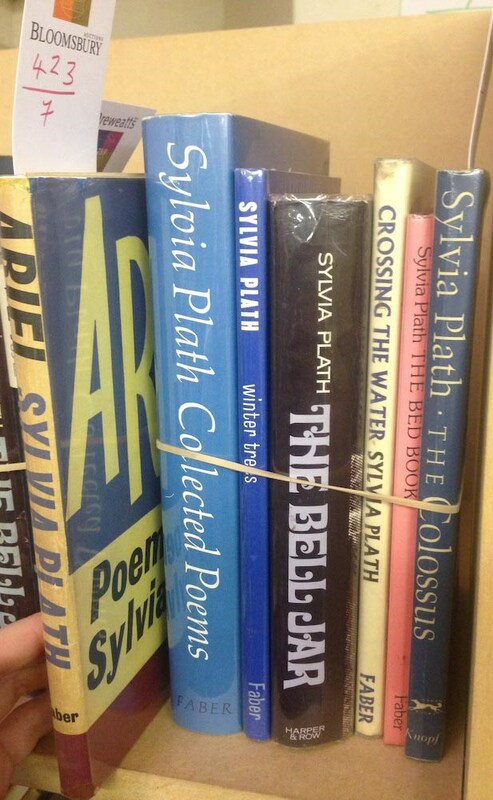 The two lots of Sylvia Plath books being auctioned today by Bloomsbury in England as part of the Bibliophile Sale, Lot 422 and Lot 423, comprised of eight and seven books respectively. Lot 422 sold today for £550 (roughly $835). Lot 423 sold today for £400 (roughly $607). Here are two images of the books, sent to me by Bloomsbury. I hope it is ok to show them! All links accessed 15 January 2015. Bloomsbury Auctions is holding a Bibliophile Sale on Thursday 15 January 2015, 11:00am, at Baverstock House, Godalming, Surrey, England. 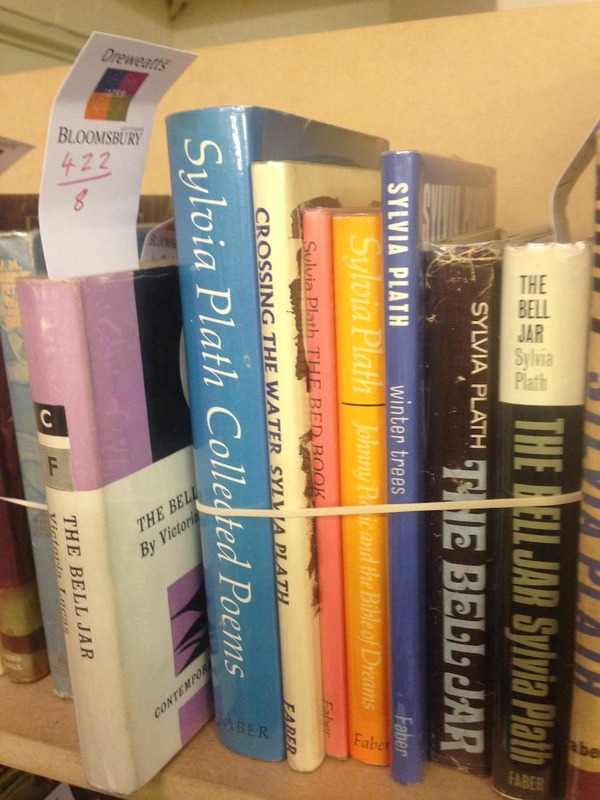 As you might have guessed, there are a couple of Sylvia Plath lots in the auction! Lot no. 422 - Contains 8 books by Sylvia Plath/"Victoria Lucas"
These all appear, from an image seen, to be first editions but I am unsure if in fact they are. As with the above, these all appear, from an image seen, to be first editions but I am unsure if in fact they are. All links accessed 6 January 2015. Praising Sylvia Plath As a student in Smith College, Sylvia Plath published a number of poems and short stories in Seventeen magazine. Slow to start, receiving scores of rejection letters, Plath's words finally landed her in print as a high schooler with an anonymous appearance in November 1949. Then, a story ("And Summer Will Not Come Again") and a poem ("Ode to a Bitten Plum") August and November 1950, and a story ("Den of Lions") in May 1951. Plath then saw much success between October 1952 and April 1953, practically owning page-space whilst appearing five times in those seven months (Plath did not appear in either November 1952 or February 1953). 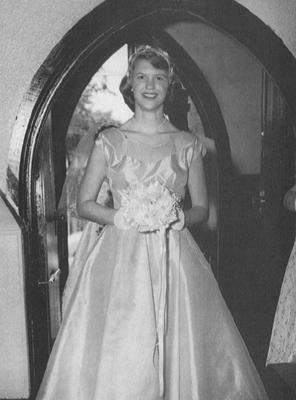 In that run of months and appearances, Plath's three poems and two stories were "The Perfect Setup (story, October 1952); "Twelfth Night" (poem, December 1952); "Initiation" (story, January 1953); "The Suitcases are Packed Again" (poem, March 1953); and "Carnival Nocturne" (poem, April 1953). Plath's poem "Sonnet to a Dissembling Spring" was accepted but never printed. Another possible inspiration for the story is Seventeen magazine itself. In November 1950, Plath's poem "Ode to a Bitten Plum" appeared; but also in this issue, a story called "Initiation Fee" by Rebecca Shallit (later, Rebecca Turtletaub). The tagline for the story reads, "Nothing in all the world seemed as important to Dodie as pledging the right sorority" (77). Even the illustration above is fairly reminiscent of Sylvia Plath, wouldn't you say? I see in particular resemblances to (at least) two photographs of Plath. The first being Plath circa 1950 and the second, as a bridesmaid in June 1955. Shallit's story received many letters of praise to the editor in the months following its appearance. As a reader, as a contributor, and as a studier of the magazine, Plath had the perfect setup herself for being able to write on a similar theme but in her own voice and based on her own experiences. Plath received some praise in the magazine for "The Perfect Setup" and "Initiation". Below are some images of letters to the editor from appreciative early readers and followers of Plath. You can see all the covers of Seventeen magazine where Plath's works appeared on the periodicals thumbnail page over at A celebration, this is. All links accessed 15 November 2015. Post modified 1 March 2015.